Wow! That' s all I can say about this year's Field of Dreams Fly-in. Great weather; great turn out; great agenda and great fellowship! 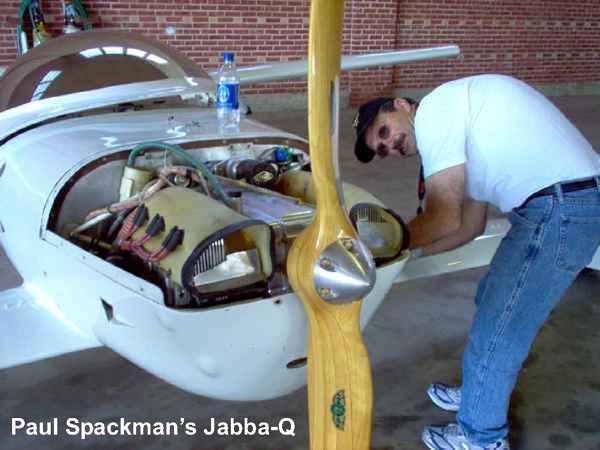 We had one Q1, four Tri-Q200's, two Q200's, one Jaba-Q, and a RevMaster powered Q2 which won the farthest distance award! They were joined by two Dragonflys and several other aircraft which flew in. Yes, that last one says Mass., as in Athol,Massachusetts! 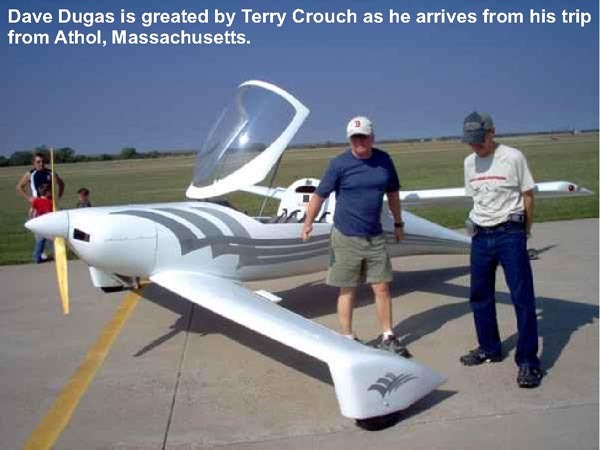 Dave Dugas flies behind a RevMaster VW conversion and it made the 2234 mile round trip nicely Dave says. Proving that this is still a viable engine for our aircraft. Dave, of course was awarded the longest distance to the fly-in award. Our fabulous host, Spud Spornitz had adjusted the schedule from previous years and we had the Quickie forum late Friday afternoon. Paul Fisher begged to have the High Time award given out at the forum because Sam Hoskins wasn't due to arrive until the next day. However, his request fell on deaf ears. We then gathered at the Golden Corral for the usual first night's buffet dinner. 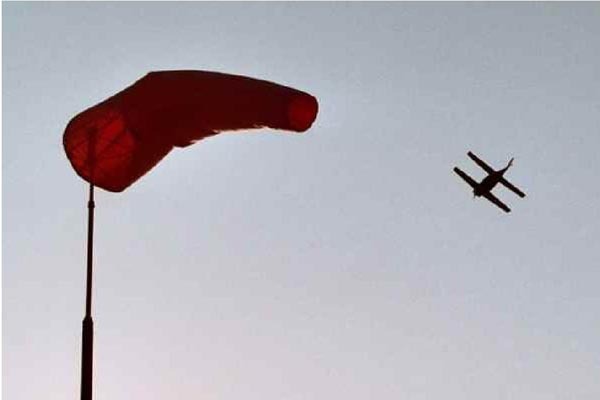 On Saturday morning, the Emporia Airport had an airport open house which brought a large crowd to join us for a pancake breakfast. This also, brought in quite a few off field arrivals to join our birds on the ramp. I think this added greatly to this year's atmosphere. Throughout the day, airport manager, Don Tevis, could be seen on the ramp directing arrivals. The airport got a well deserved promotional benefit from both our presence and the pancake fly-in. As we did last year, we launched the tandem wing aircraft for a morning flying parade for dignitaries at the adjacent golf course. This is one airport that knows how to promote itself! Back on the ground, many started giving rides and the rest pulled their birds into the big hangar for a cowls off session. The now famous Dave Richardson towel got rides from several folks and logged 2 hours for the weekend. Then at 1 PM Bob Knockles gave his AreoElectric forum that was well attended by most of the 40 plus attendees. The big topic this year was eliminating radio noise. Throughout the event, Spudly kept giving out poker cards to those that flew their birds to the event and then at the Saturday evening banquet, he gave out the last card and we waited to see who had the best hand. 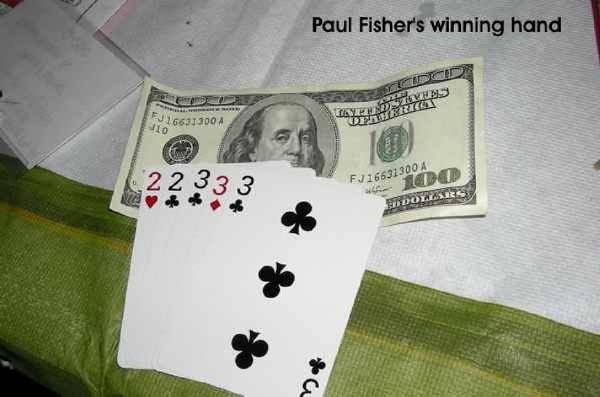 Paul Fisher came out with the winning hand and was rewarded $100.00 cash. So even though he didn't win the high timer award, he came away with the dough. Over the years Spud has tried different incentive plans and this poker game is a nice way to get some gas money back to the guys who fly their aircraft to the event. A pat on the back for our host Spud! The banquet was MC'd by Jim Masal and he requested that the group entertain HIM! I think we gave him what he was looking for as the laughter heard throughout the evening was gut splitting. Please be sure you check out the additional photos of this year's event at the Members Only section of the QBA web site. 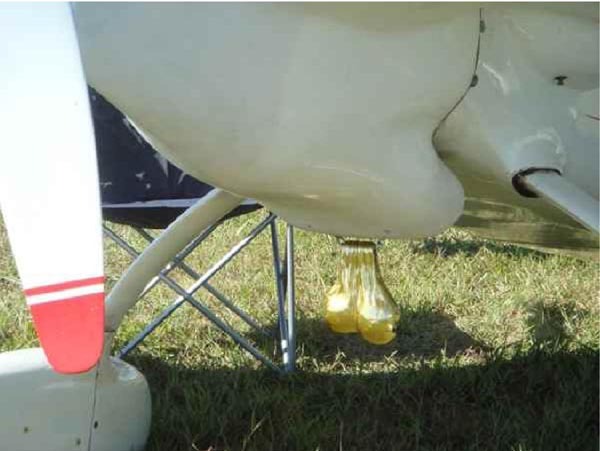 A male airplane exposed at Rough River Canard Fly-in. You can order a printed copy of Q-talk #125 by using the Q-talk Back Issue Order Page.